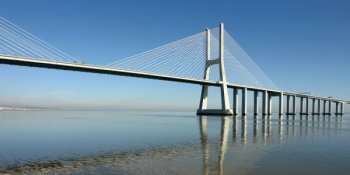 Hyder Consulting used LUSAS Bridge to perform a design check of the Vasco da Gama bridge and associated crossing of the Tagus at Lisbon, Portugal. 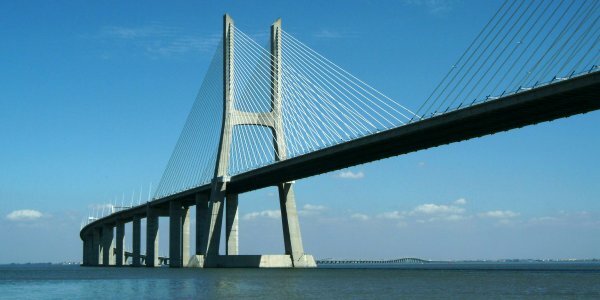 The 18km long crossing comprises a series of concrete viaduct structures together with a 420m span cable stayed bridge over the main shipping channel. All structures are supported on piles extending through extensive alluvial deposits to a depth close to bedrock 60m below river bed level. Lisbon was devastated by an earthquake in 1774 so all parts of the crossing are designed to ensure minimum seismic damage in the event of another severe earthquake. 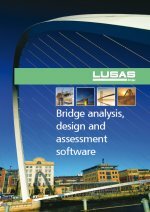 LUSAS was used to calculate the seismic response of the foundations and various parts of the superstructure. 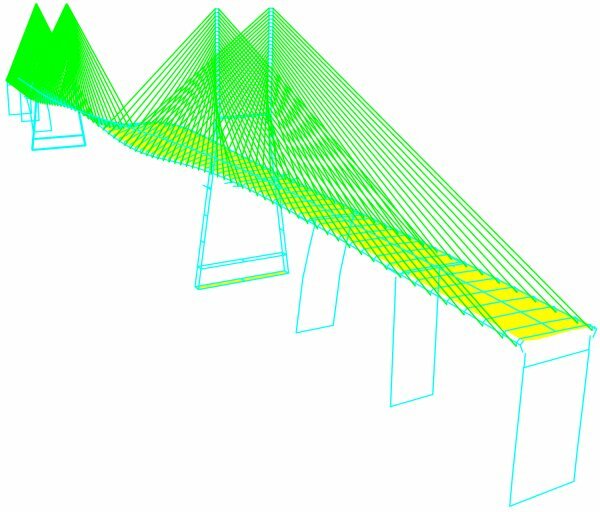 Models of each section of the approach viaducts were created for seismic response analyses and an initial 2D pile/soil interaction model was developed. 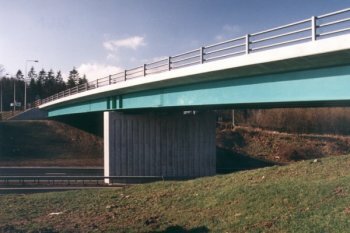 Pile/soil interaction is of primary significance with seismic displacements induced at pile cap level affecting the entire bridge and viaduct structures. In the substructure analysis, soil degradation was a key consideration and this required an iterative analysis procedure. 2D plane strain finite elements were used to model the soil, together with constraint equations to ensure that only shear deformation was considered. An eigenvalue analysis was done to determine the natural frequencies and mode shapes of the soil profile. This was followed by a spectral response analysis whereby an idealised seismic event was applied at bedrock level via acceleration/frequency curve input to give soil displacements throughout the soil model. From the results of soil displacement with respect to soil depth Hyder were able to determine forces and moments in piles at any depth and perform checks with the original design. Using the soil profile model, Hyder have carried out additional soil profile analyses for other locations on the crossing. In the cable stay bridge and viaduct analyses, displacements at movement joints due to seismic loading were just one of many checks that had to be made. To model these structures 3D beam elements were used throughout, with the exception of the decks which were modelled with 3D shells. Joint elements were used to model sliding and pinned connections and spring supports represented upper and lower bound pile stiffnesses. A nonlinear static dead load analysis was undertaken to determine the deflected shape and stiffness of the structure, followed by an eigenvalue analysis on the stress-stiffened model to determine natural frequencies and mode shapes. A spectral response analysis using seismic data for upper and lower bound pile group stiffnesses produced the dynamic displacements, accelerations, forces and moments required for Hyder Consulting to complete the check.